Free Tools and Templates to Start Working On Your Business, Not Just In It. Join us in our free online Masterclass where we'll show you how you can use what works in the world's best-run companies to make a big difference in your own. From stabilizing cash flow to generating new business, get an overview of our Business Development System and the results you can achieve with over 50 processes. Read the first chapter of The E-Myth Revisited: Why Most Small Business Don't Work and What to Do About It by Michael Gerber. Take a look at your company from a bird's-eye view by building your organizational chart. Check out our free guide, sample chart, and instructional template. Don't rely on job descriptions to hold your employees accountable. Learn how to create a Position Agreement with result statements, work listings, and standards. 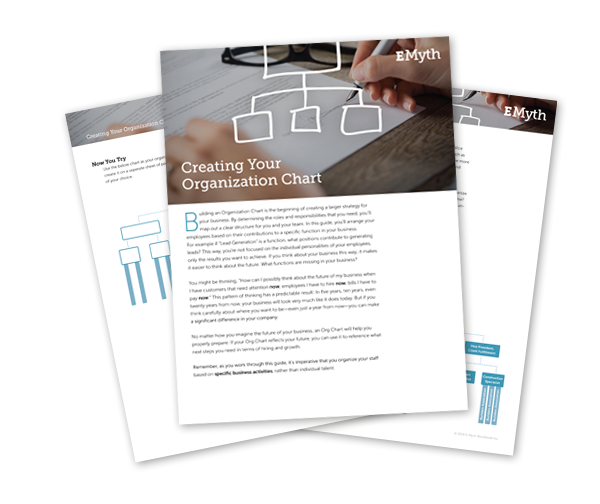 Download the worksheets for our book, E-Myth Mastery, and see the types of business development tools our coaching program offers. How Systematized is Your Business? Want a business that produces excellent results with or without you? 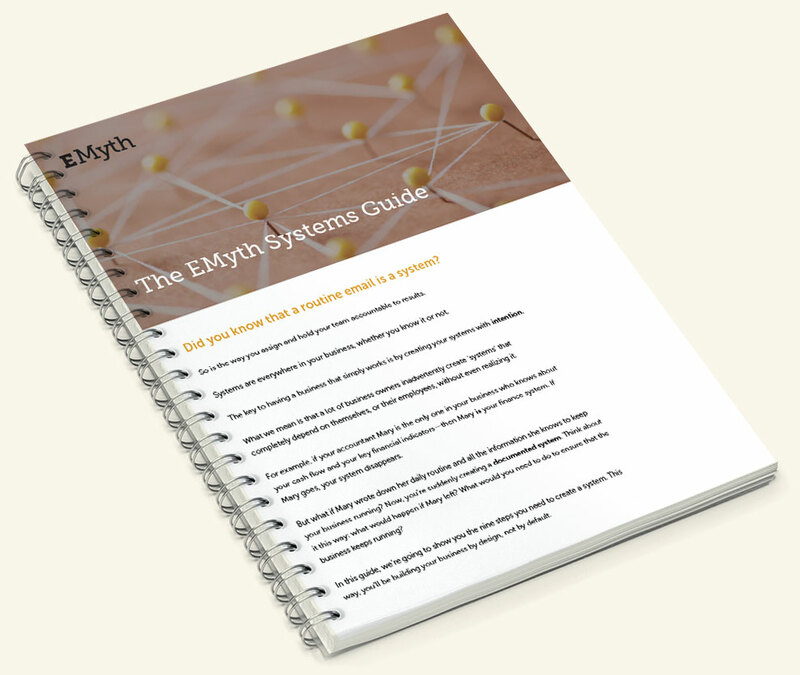 The EMyth Systems Assessment will show you where you stand in developing a systematized business. Which Problem-Solving Technique Do You Use? In this assessment, you'll evaluate nine different scenarios to see how you relate to solving frustrations and get tips on how to move forward so stress doesn't define your day. Hiring? Download the EMyth Interview Checklist and sample questions to take the first step toward developing a consistent and reliable interview and hiring process. For over three decades, we’ve helped business owners just like you find more meaning in their work. Sign up today to get our latest articles and resources. Manage your time and see where you can increase your productivity by downloading the Daily Time Log. 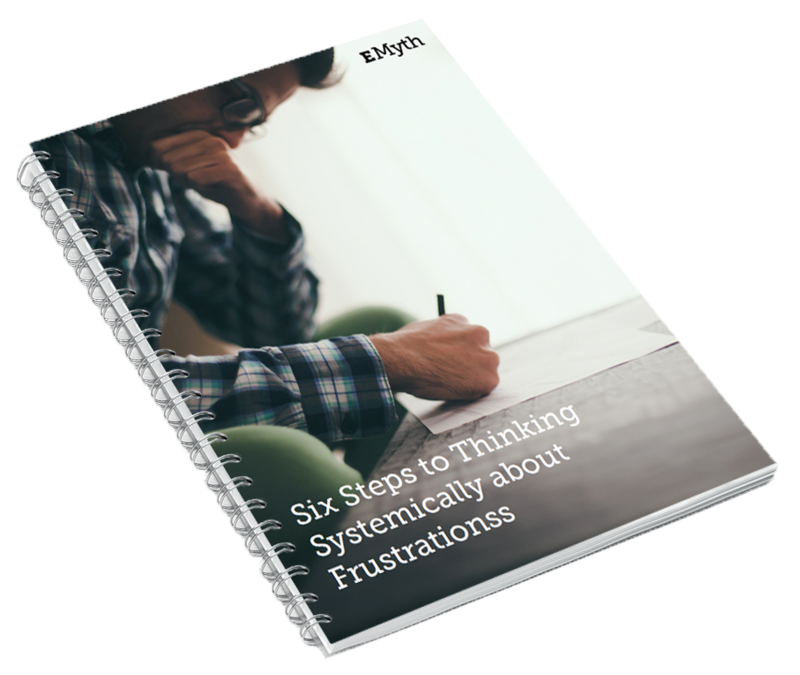 In our guide and email series, we'll walk you through one of our key processes that has helped thousands of our clients think strategically about the frustrations in their businesses. Learn the value of systems, the ways in which you already use them in your business, and nine steps to creating a system that gives you consistent and repeatable results. Do You Have a System for Your Time? Does it feel like there is never enough time in the day? You don't have to be at the mercy of your to-do list. Take our quiz to see how you are using your time and the small steps you can take to make a change. Follow our guide to attract new customers with a message that resonates and has a positive impact on your brand. Do You Have a People-Dependent Business? Having people problems? Take our assessment to see whether your business is dependent on people or driven by systems. Finding and retaining employees who are driven comes from having a management system that gives your team clear structure for how to do their jobs. Take our quiz to see what's missing. Create a job posting that helps eliminate unqualified candidates and work with our guide and template to start finding the best employees for your business. When it comes to planning your marketing strategy knowing where to start can be the biggest roadblock. See where you rank now and where you have room to improve. Assess your business by answering questions in seven different categories. Your scores will help you see which core area of your business has the most opportunity for growth. Spending too much time at the office? See where you rank in creating a business that serves your life . Are You Taking the Right Steps to Achieve Your Goals for 2017? 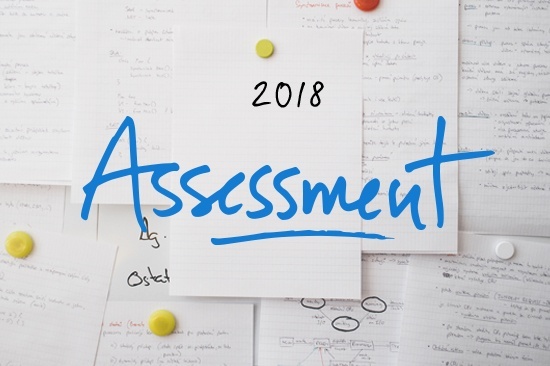 Take our assessment now to see if you’re taking the right steps to achieve your goals in 2017. Do You Have the Space to Take a Real Vacation? Before a vacation, it seems like there's only more work still left to do. But you deserve a break. Take our quiz to see if you have the space to take a real vacation. Are You Keeping Your Financial House in Order? Taxes, interest rates, profit & loss… Are you leaving your finances for someone else to manage? Take this assessment to see where you can improve your financial management skills. Download our free guide for strategies that will help you reduce your risk to investors, efficiently increase your growth, and develop new systems for your business. Develop a company culture your employees can thrive in with this free guide to improving your employees' performance, motivation, and productivity. How Well Do You Attract the Right Customers? Don't spend your time, money, or resources looking for customers where they don't exist. Take this short quiz to see how well you attract, generate, and convert new leads. Is Your Hiring Process Helping or Hurting Your Business? Do you know how to find (and hire) the best team? Take this quiz and see if your hiring process is helping—or hurting—your company. Are You Giving Your Customers an Unforgettable Experience? Your brand is what keeps your customers coming back for more. Take our quiz to see if you're giving them the best experience possible. Does Your Business Leave Room for Your Life? When you started your business you had a dream for your life. 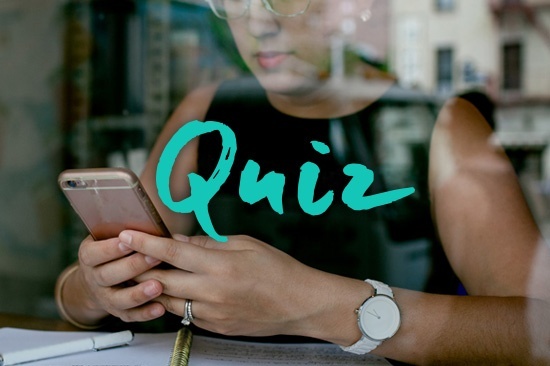 Take our quiz and see how well the vision you have for your business aligns with your own goals. When was the last time you took a work-free vacation? We'll give you all the steps you need to unplug and a new perspective on how your vacation can help your organization.